The plane suffered an explosion during take-off at the Sharara oilfield in southern Libya, also injuring a fourth crew member, said Mohammad al-Zardumi, an official who works at the oilfield. So far, the cause of the crash has not yet been established. 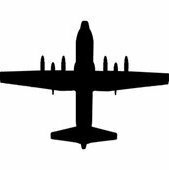 Brigadier Ahmad Alal, who heads military forces guarding the oilfield, said a technical problem was likely behind the crash of the C-130 plane. A military official, speaking on condition of anonymity, said the plane had developed an engine problem following take-off. The aircraft belonged to the Libyan army, the official told dpa. It was being used to deliver food supplies to the site. Sharara is the biggest oilfield in Libya. The country’s economy, which has been battered by seven years of nationwide strife, relies heavily on revenue from oil sales. The plane in question is the property of the Libyan Air Force but was chartered by Akakus Oil, who operate the Sharara field. The company was forced to charter the aircraft due to road closures and the security situation on the ground stemming from a road blockade leading to the field. 4992 was the aircraft they lost. Libya sent several L-382G's to Italy to be modified to C-130H-30 standard with paradoors, LOX and military avionics. This was one of them.